There are no systemic risks to the Kenyan banking sector. “No large lenders face the risk of collapse,” said Exx Africa executive director, Robert Besseling, speaking at the event. 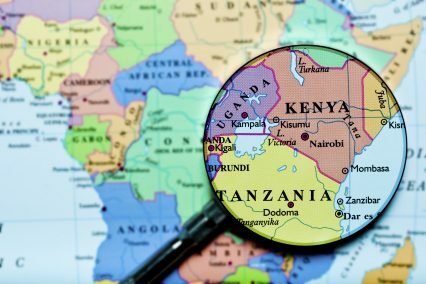 “While small Kenyan banks are more susceptible to tightening in the inter-bank market, liquidity risks are unlikely to pose a threat of systemic contagion to the country’s banking sector and bank profitability is likely to be boosted in the near term,” Exx Africa wrote in its website in late April. “The three banks that have been taken into receivership [Chase Bank, Imperial Bank and Dubai Bank] are too small to cause a systemic risk,” the report read. Chase Bank, currently in receivership, resumed operations of key banking services such as electronic funds transfers (EFT), trade finance, foreign exchange transactions and cheque clearance facility this week, barely a fortnight after the bank reopened. The role of banks is highly contested. Banks are still the first port of call for East African corporates looking for working capital, said 62.7% of conference delegates in a live vote. However, 30.5% backed the option that this wouldn’t be the case for much longer. Throughout the conference, heated debates took place between speakers and members of the audience, with corporates calling for more lending to SMEs and banks maintaining that the funds aren’t there’s to give away. “When it comes to agricultural finance, we can’t rely on the banks,” said one speaker on the panel dedicated to modernising the banking sector with fintech, suggesting that the likes of supply chain service providers such as Umati Capital, eBiashara and FACTS have more of a role to play in this realm. “Mankind has figured out how to send people into space, but still hasn’t worked out how to finance SMEs and farmers,” remarked another panellist. The appeal of private equity for corporates in the region is growing. Private equity is becoming increasingly practical for the bigger players in the region. Kenyan supermarket chain Nakumatt is finalising a private equity deal to restructure existing debt levels, fund expansion and secure a lower cost of capital, said Vijay Kumar, Nakumatt’s group controller, finance, during his panel on working capital strategies for a challenging global environment. Africa is (mostly) for Africans. Local players are convinced that no foreign bank will ever truly understand the DNA of the African continent. The Middle Eastern banks are an exception to this rule, said a former international banker. Ethiopia is the “last game in town” when it comes to new opportunities and undiscovered markets in Africa, said head of research at Ecobank, Edward George. But despite all the opportunities in soft commodities and hydro-electric power, the country needs to do more to enable access to these markets. Ethiopia’s government is ambivalent towards foreign investors: the economy is opening up to foreign capital, but cautiously. The country’s accession to the World Trade Organisation will make it a more attractive investment destination, but until then it cannot be seen as a regional economic hub: it is less connected to the rest of the continent than Mauritius, said George.